Dylan turned 3 in August, and I can definitely see how his play has changed over the last months. 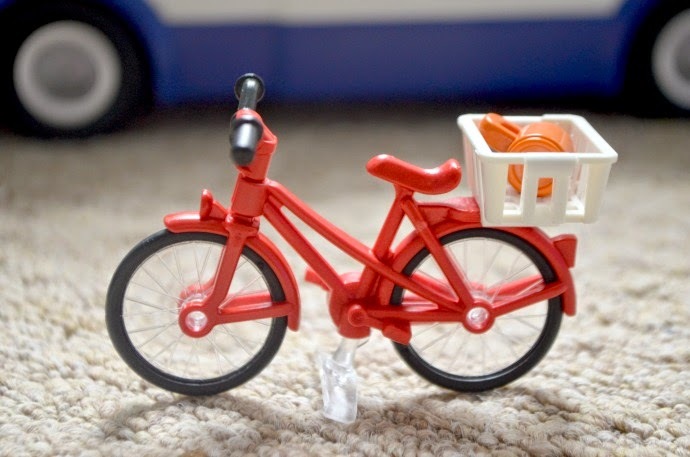 He rejects all the baby toys (unless his brother has them of course), and instead wants figurines, pretend play and other toys that push his imagination. 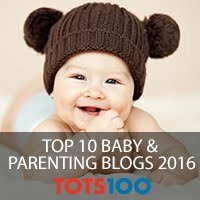 We have been testing a few toys, and I wanted to share our absolute favourites. 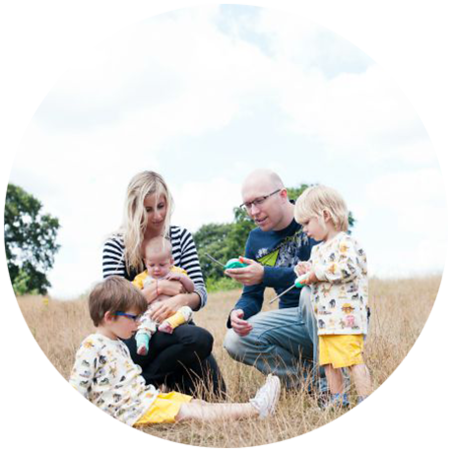 Although technically meant for 4-10 year olds, I think if your three year old is quite sensible then this is perfect to introduce early. 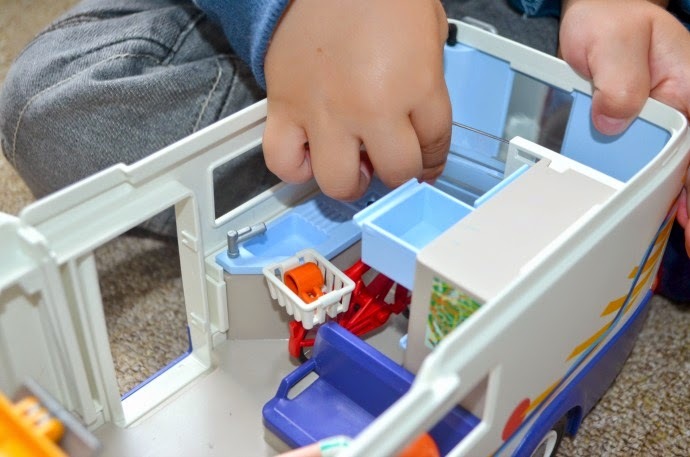 Dylan absolutely adores his Playmobil caravan and it is played with every single day without fail. The small pieces and people allow him to act out so many situations, and the build up to our recent caravan holiday was made all the more exciting with his own mini version. 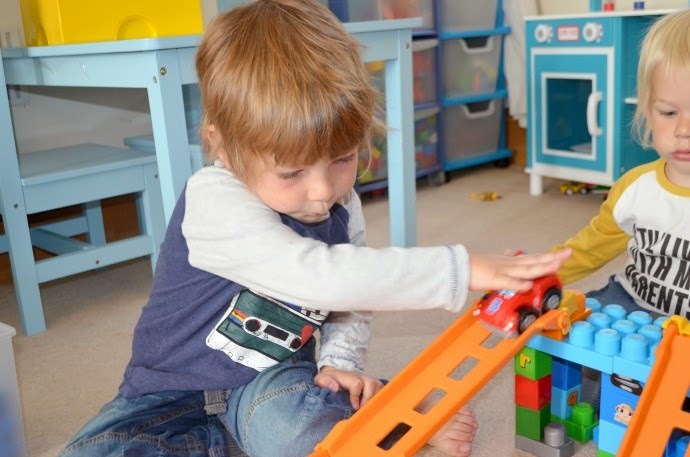 The pieces are all strong and durable, and despite 19 month old Archie joining in with the play at times, nothing has ever broken or snapped. Playmobil is deinfitely something I can see slowly taking over our living room over the coming years, as both boys are fascinated by it. We haven't ever seen the program Dinosaur Train, but we were sent two of the characters from the show - Boris the T-Rex and Mr Conductor. 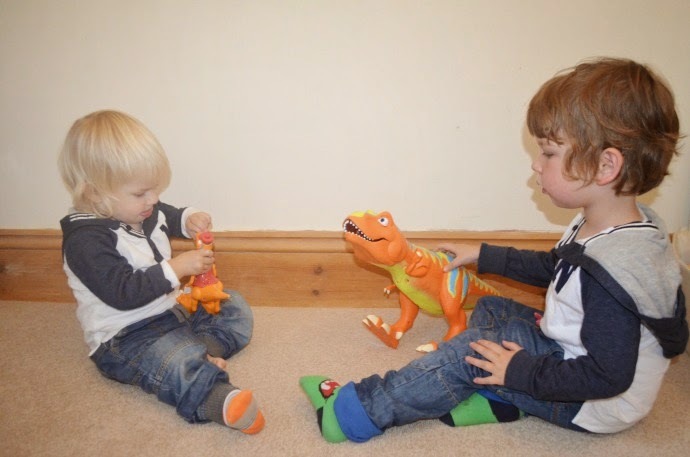 These were an instant hit with both the boys, and they love having one each and making them roar at each other. I have found the battery life to be quite short on these, both needed replacing within the first month, but then they are played with daily. I appreciate that they are also educational. 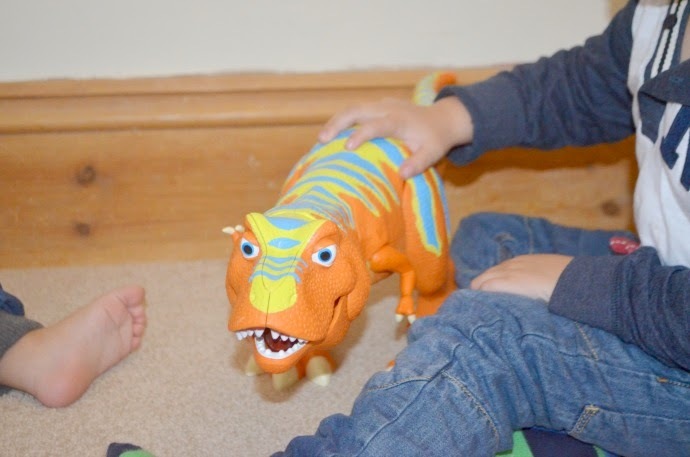 The toys can talk to each other when both activated, and they compare facts about their size, habits and diets as well as comparing their roars. There are many more in the set, and the more you have, the more the dinosaurs converse. 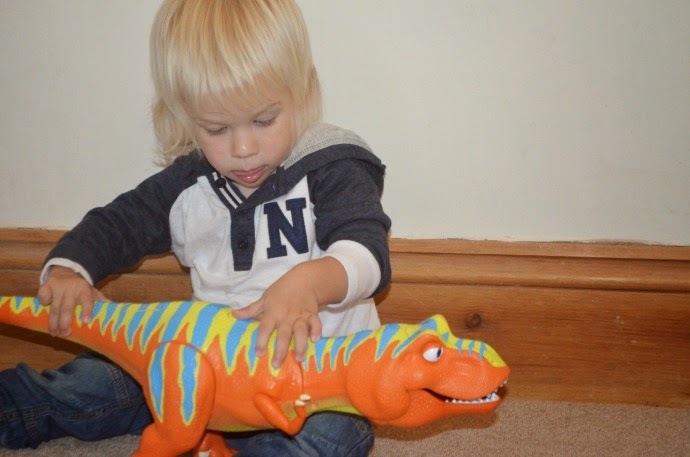 Dylan loves that they interact, he loves making the T-rex eat everything and he enjoys having roaring competitions with anyone who will play! 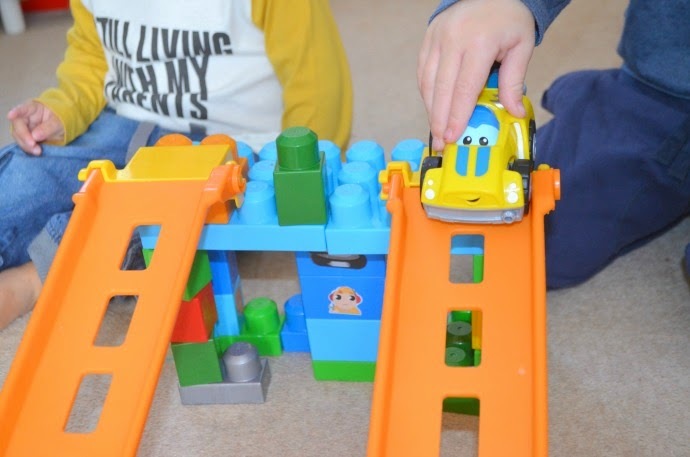 We love toys for building, as it encourages the boys to try different things, and even though this Megabloks fast tracks set comes ready to build tracks, it has been all sorts of other things as well. 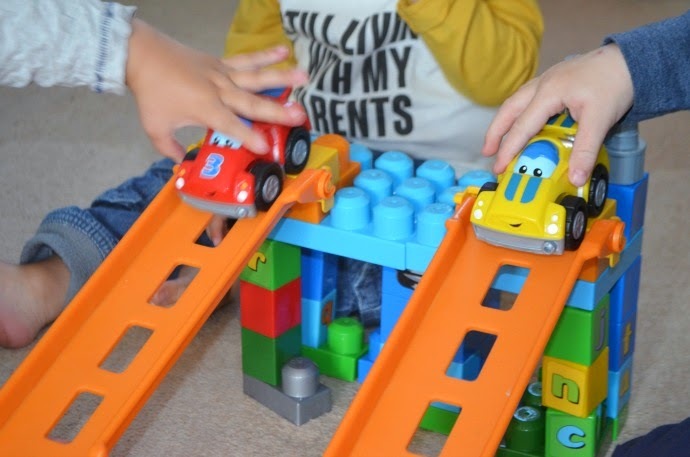 This has been a great toy for Dylan and Archie to play together as they love racing their cars down there, although the slopes often fall, probably because Archie is a little heavy handed. 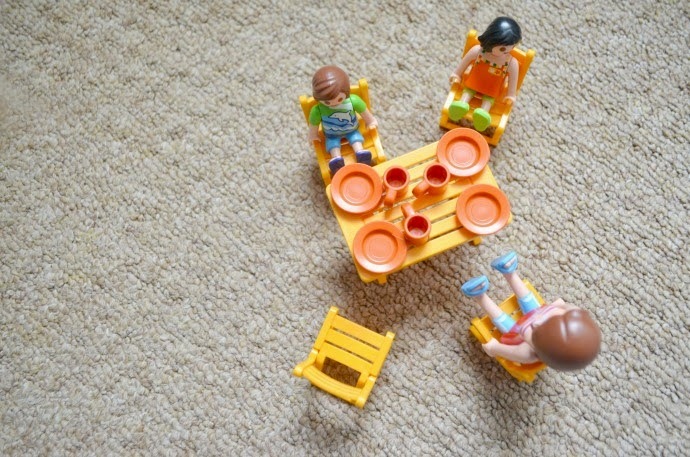 When Dylan plays with this with similarly aged friends, they have no problems. The box shows several combinations this can be built in, but we usually attempt our own, and use other megabloks as well. 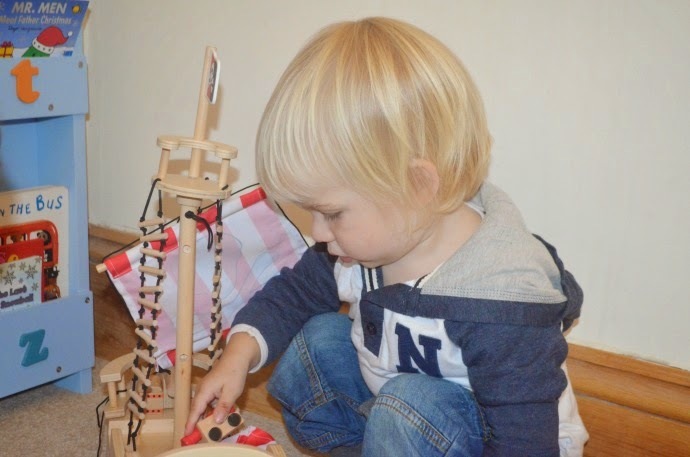 It isn't just me that loves wooden toys, so do my children and the new range from Asda is not only extremely good value, but also well made and easy to put together. 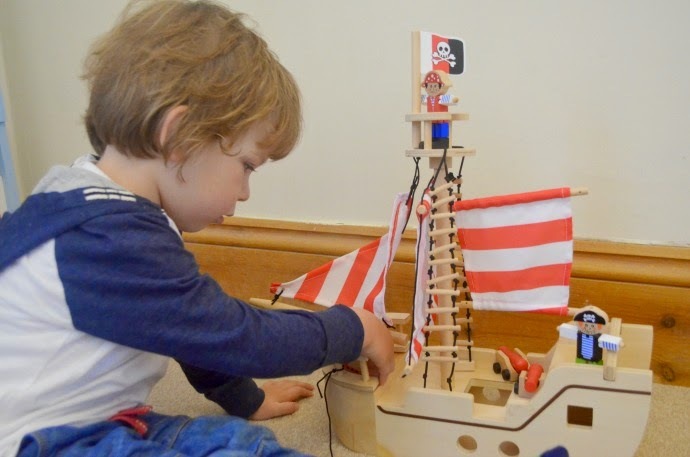 It took me two minutes to build this pirate ship (£25) and we have had hours of play. I love watching Dylan play with it, as his imagination has no bounds, and he chats and sings as he interacts with it. The pieces on the ship all come out, and a toddler can remove them all if he wants, but it was easy to put them all back in again. 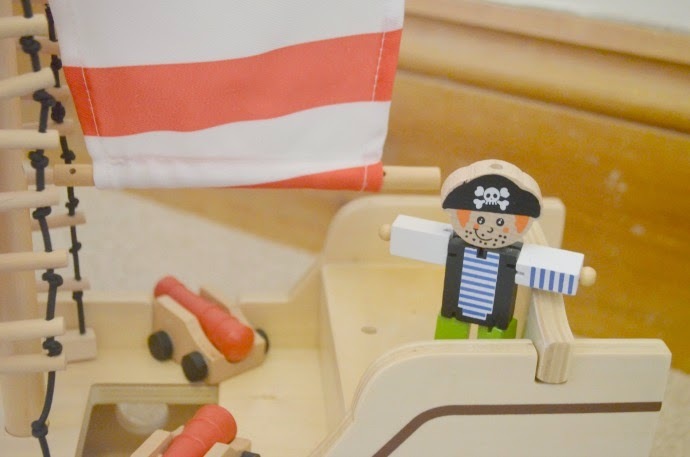 The ship comes with two pirates, two loose cannons and a mini treasure chest too, but we have found you can improvised with all sorts, and our playmobil men are often aboard the pirate ship. There is a great new range available from Asda, including a lovely looking kitchen and doll's house. 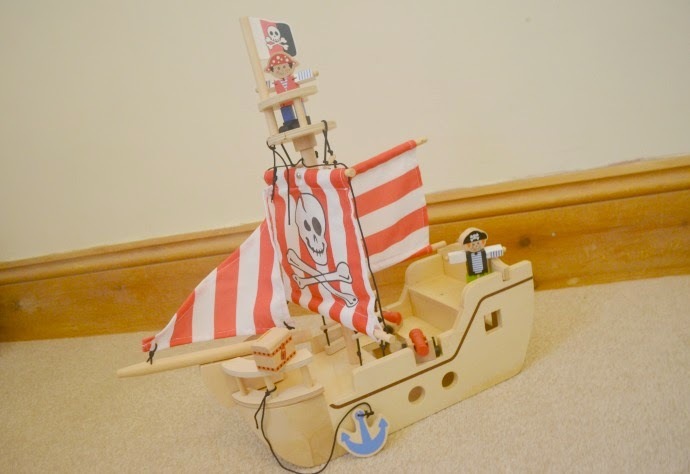 This ship is adored by both boys, although Archie mostly likes to take it apart still. These are probably four of the top five toys played with by my three year old, alongside his wooden toy kitchen. 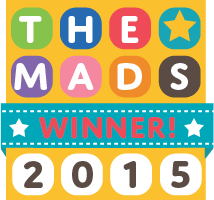 Each is well made and perfect for little folk exploring their imagination. Disclaimer: We were sent the above toys free of charge in exchange for our honest opinion. All thoughts, photographs and opinions are completely my own. I will be saving this post for when my little boy turns three (just about to turn two) I always struggle with what to buy! They seem to go up a level of toys around three, and I love all the new stuff! Oh my word, that campervan is amazing. 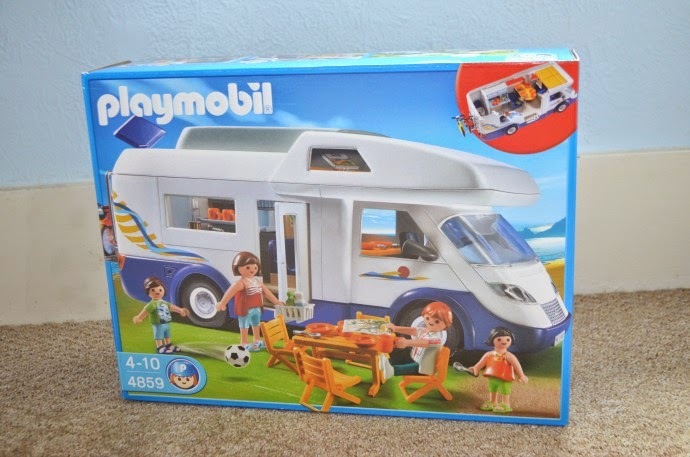 Definitely putting it on the wishlist for my daughter's 3rd birthday next month as she adores playing in her grandparents' van. It totally is, without a doubt the most played with toy in the house! Yep that caravan does look rather awesome! Makes me want to play with it too!